Although brownstone rowhouses still, for the most part, made up the fabric of East 20th Street between Broadway and Park Avenue in 1895; the residential tone of the neighborhood was doomed. That year mural artist and set designer E. Hamilton Bell was still living at No. 48; but already neighboring homes had been taken over by dress makers, milliners and, in one case, a basement laundry. On March 5, 1898 The Real Estate Record & Builders’ Guide reported that “Iron & Todd were the buyers of Nos. 42-48 East 20th street, four 3-story dwellings, on plot 88x92, which they will improve.” Iron & Todd, also known as Seaboard Realty Co., had major plans for the old brownstones. The architectural firm of Neville & Bagge received the commission to replace them with an up-to-date store and loft building. Iron & Todd were well aware that the millinery and apparel districts were inching into the neighborhood; and modern factory and showroom space would be in high demand. The architects designed an eight story structure in the popular Beaux Arts style. Formally symmetrical, every element on its brick and stone façade was balanced by its twin. Pairs of elaborately carved arched entrances anchored the ends of the two-story limestone base. The intricate foliate carving of the keystones and spandrels continued even onto the paneled pilasters. Between the entrances, handsome fluted Corinthian columns supported a copper-clad entablature and separated the large showroom windows. A dignified row of cast Corinthian columns defined the store front. Above the second story, which featured engaged columns, festooning and florid console brackets, red brick was interrupted by white limestone pilasters, quoins, balusters and pediments. Completed in 1899, it was a dignified palace meant to house factory workers. Visitors and workers entered the building through either of a set of elegant paired doorways. Loft space was quickly rented. 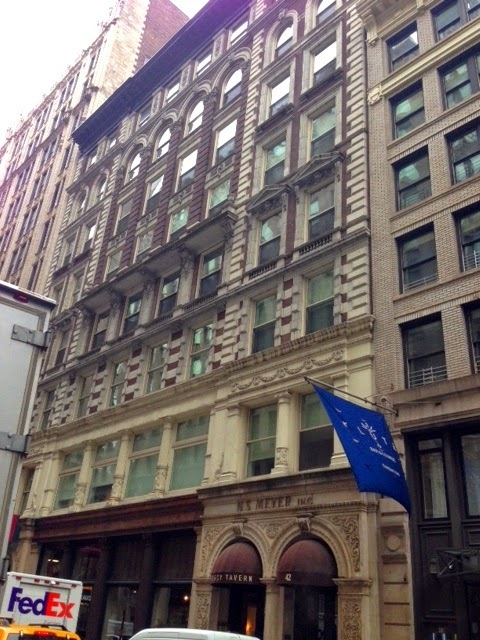 In 1900 the French Art Embroidery Co. took the sixth floor and J. H. Wilson rented the fifth. An inspector visiting of the French Art Embroidery Company’s operation here the following year listed the workforce. There were 10 men (all over 18 years of age it noted) and 75 women. They worked an average of 54 hours per week. The odd mix of plumbing and garment companies continued when the American Radiator Co. moved in around 1902, sharing the building with firms like the Peerless Pattern Company. Peerless underwent a bit of a scuffle that year. On March 21 the board of directors met and elected George A. Newton as president; thereby ousting William H. Hudson as its chief. A displeased Hudson obtained an injunction restraining Newton from taking over the company. But the injunction was only valid until April 14. At midnight the directors and the new president marched into the building to take possession of Peerless Pattern Company. But Hudson had anticipated such a move and was already there. He steadfastly refused to unbolt the door until one of the men in the hallway pretended to be a detective and ordered Hudson to let them in. The minute he opened the door the directors tried to oust him “and then there was a scuffle, to end which Policeman Geary was called in,” reported The Sun on April 15, 1902. The undignified business ended with Geary arresting the former president. Behind the handsome facade, workers toiled at machines to produce dresses and trimmings. Earlier that year, in February, Emily Hopkins purchased Nos. 42-48 East 20th Street for $550,000. The sizable outlay would translate to about $15.4 million today. In reporting the new policy, the firm reminded dealers that not only did it manufacture household furniture “in all the important French, English and Italian periods;’ but it imported carpeting. “Importers of exclusive designs in Aubusson, Belleville and other Tapestries, fine Broches and English Morocco,” said the advertisement. Palmer & Embury would remain in the 20th Street location for another twelve years before moving to No. 119 West 40th Street in 1916. Although the majority of tenants continued to be in the apparel business, like Herx, Ames & Rau; and William J. Rosenberg (who took 5,500 square feet in February 1910); there were still other firms like McCrum-Howell Company. Run by the 32-year old Lloyd Garrison McCrum, the company offered a variety of household products like the Richmond Suction Cleaner, guaranteed to “free you from brooms, mops and dusters—and the backaches and drudgery they bring,” and the ingenious “Richmond Suds-Maker” that attached to a faucet and filled the sink with warm, soapy water. There was one loft in the building still vacant in 1910; but building superintendent James Camac made good use of it. In his free time Camac, who lived in Bay Shore, Long Island, constructed a boat in the empty space. The problem he had to address when the 20-foot boat with a 7-foot beam was completed was how to get it out of the building. On April 10, 1910 The New York Times reported on his solution with a headline that read “Launches a Boat from Lofty Window.” The newspaper explained that he “launched his new motor boat yesterday with piano movers’ tackle.” The boat was lowered from the window onto 20th Street to the amazement of passersby. For the next few years the building became home to A & C Leather Goods Co., makers of leather traveling bags “and novelties.” The company employed 40 workers, only three of whom were women (an unusual proportion in a building filled with garment companies that employed women almost exclusively). Also here was W. J. Rosenberg, “makers of fringes and tassels;” Lorimer & Greenbaum Co., “art linens;” and the Lauer Manufacturing Co. And, as had been the case since the building opened, there was at least one non-garment related company. 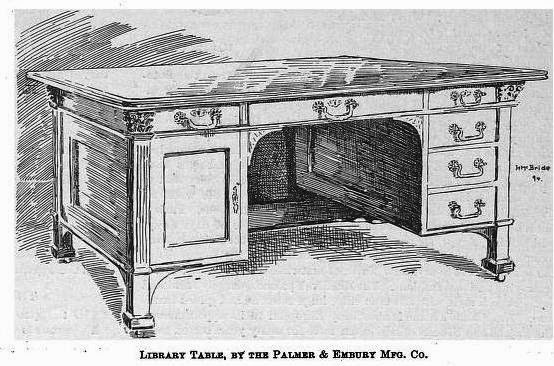 When Palmer & Embury left, Belding Hall Co., manufacturers of refrigerators, took over the first floor showroom. Apparel firms continued to call the building home throughout the 1920s. Perfect Boys’ Wash Suit Company took a loft in the building in May, 1921 and two months later the Paramount Neckwear Company signed a lease. R. Krause & Son manufactured “embossers and ribbons,” and Morris Zuckerman made dresses. In 1924 Walter Gretsch and William Brenner established the wholesale musical instrument company of Gretsch & Brenner. Gretsch had been partners with his brother Fred in the manufacture of Gretsch guitars; but now he and Brenner struck out to import European instruments and to represent manufacturers. Among the instruments that made the firm successful was the Gibson guitar. After holding the building for two decades, the estate of Emily Hopkins sold it to Henry W. Gennerich in February 1926. Another long-term tenant would be gone within the year. The 58-year old musical instrument importer Walter Gretsch died on May 28, 1940 after a long illness. Already, however, the Garment District had left the East 20th Street neighborhood. For the rest of the century various operations would come and go as the block slowly became more upscale. In 1995 the former store and showroom space was converted to a restaurant and in 2003 the upper floors, once home to ribbon manufacturers and sellers of suds-makers, became high-end residences. Through it all, however, Neville & Bagge’s noble exterior has survived remarkably well. Even the cornice and the street level—always the first victims of “modernization”—remain intact. By the time that World War I erupted in Europe, the theater district had essentially left 23rd Street and relocated around Longacre Square; recently renamed Times Square. On June 22, 1919 The New York Times reported on the coming of two more theaters. Brothers Edgar and Archibald Selwyn had founded the theatrical production company The Selwyns. Their two new theaters would be unusual in that they would appear to be a single structure. The Selwyns had commissioned architects De Rose & Persira to design their theaters, with George L. Keister acting as consulting architect. The completed structure would resemble a colonnaded 18th century English "terrace" with a rusticated granite base supporting a grand classically-inspired loggia. Winged beasts incorporated in the carved capitals blend with the classical motif of the frieze. One section of the bronze grill, left, survives. The theaters would share a large marquee, adding to the illusion of a single structure. The Times Square, entered at the right, had a seating capacity of 1,200 while the Forty-Second Street Theatre (quickly renamed The Apollo) could seat 1,100. The construction of the theaters was a major undertaking. “The negotiations leading to the purchase of the property and the erection of the theatres, which involves an investment of close to two million dollars…is one of the largest theatrical enterprises undertaken in the city in several years,” said The Times. Despite the assertion that only musical shows would play here, the following year Lionel Barrymore opened in MacBeth. Like Jimmie, it was not well received. In 1922 the Selwyn’s staged the first of a few plays with mostly black actors. Sidney Bechet and Alberta Hunter appeared in How Come. In the meantime the Selwyns had scored a coup when they enticed Florence Reed to leave her producer and open The Times Square on October 5, 1920 in The Mirage. 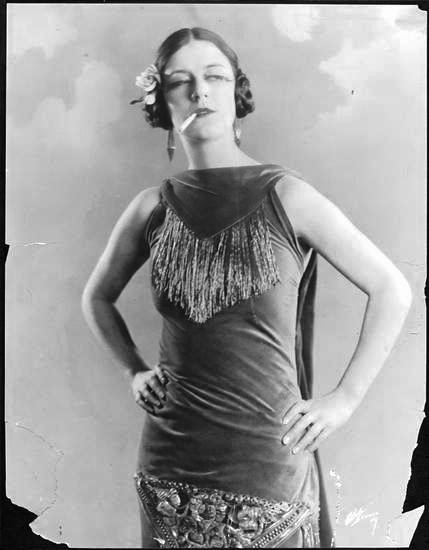 "Edgar Selwyn has evolved a play which he believes to be suited to Miss Reed, and since he is one of the producers in the case it would not be surprising to find this the piece in which Miss Reed opens the Times Square,” announced The Times on Jun 13, 1920. 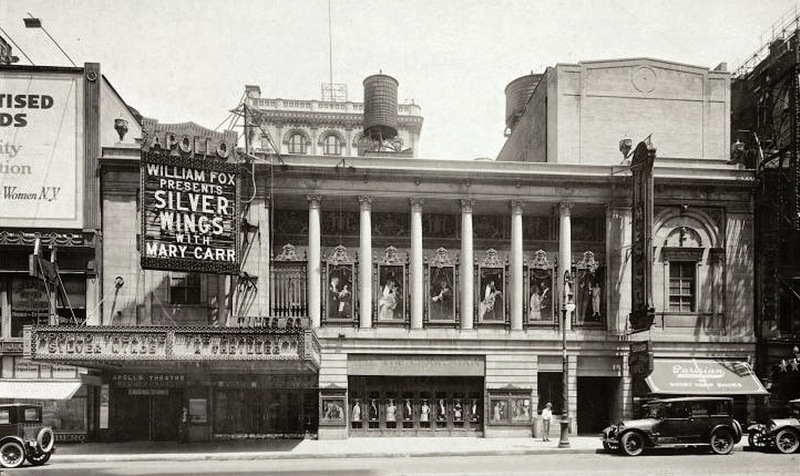 Channing Pollack’s The Fool opened at the Times Square Theater on October 23, 1922. One young actress, Sara Sothern was deemed by Theatre magazine to be “outstandingly fine” while judging the rest of the cast to be “creditable but not startling.” The 27-year old starlet would eventually be forgotten for anything other than being mother to Elizabeth Taylor. Andre Charlot’s Revue of 1924 opened on January 9 “With three of the most popular London revue comedians as its starts,” said The New York Times. 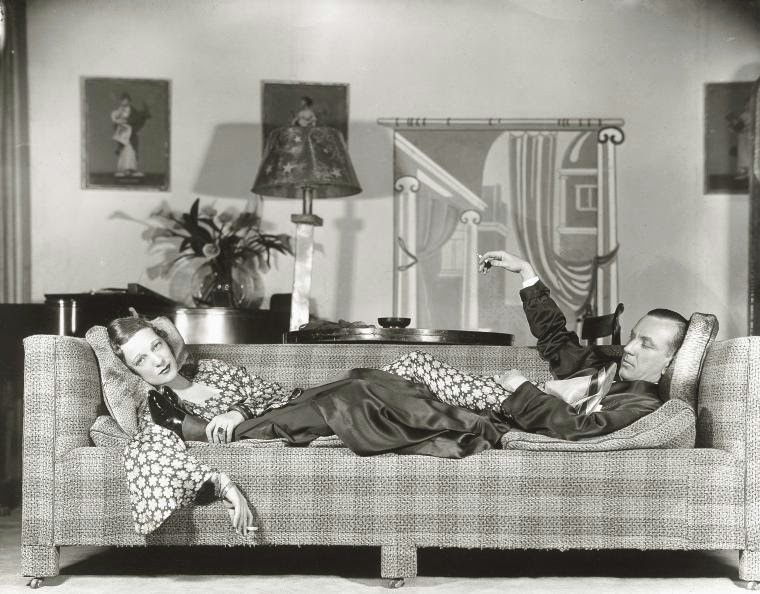 Called “Frequently brilliant in idea and thoroughly English,” it starred Beatrice Lillie and Gertrude Lawrence. The Apollo Theatre got back to presenting lighter fare and in 1924 opened George White’s Scandals. White had danced in Florenz Ziegfeld’s Follies before producing his own revues in 1919. The Scandals would feature scores of box office draws like Ann Pennington, comedians Willie and Eugene Howard and Harry Richman, dancer Ray Bolger, and Ed Wynn. The Times Square Theatre was home to several hits, including The Front Page which opened in 1928, directed by George S. Kaufman and ran for 281 performances. Another hit was George Gershwin’s Strike Up The Band which opened in January 1930 and ran for 191 performances, followed by Noel Coward’s Private Lives. It opened on January 27, 1931 and lasted for 256 performances. Katherine Cornell appeared here in A Bill of Divorcement. Wilner appealed and Supreme Court Justice Koch reversed Moss’s decision. It was the end of legitimate theater at the Apollo. But in 1937 Mayor Fiorello LaGuardia put an end to all burlesque licenses and the last burlesque show at the Apollo was in November that year. The following year the Apollo Theatre screened motion pictures only. The conversion was not without its troubles. In 1935 disgruntled members of the Allied Motion Picture Operators Union picketed movie houses and on August 15 they chose the Times Square. Before the night was over 17 pickets were arrested--15 charged with disorderly conduct, one with assault and another with interfering with an arresting officer. In October 1936 the theater was a target again when, with nearly all the 1,100 seats filled, there was a loud explosion near the orchestra. “Members of the audience said afterward that it sounded like a pistol shot, and many thought there had been a shooting. Word passed around that some one had attempted suicide, and most of the spectators, curious to learn what had happened, kept their seats,” said The Times on October 11. Delicate carving recalling the 18th century Adams style go unnoticed by 42nd Street pedestrians. The Apollo Theatre avoided similar labor troubles by screening mostly foreign films. Movies like the Russian drama Lenin in October played in July 1938; and the French film Thunder Over Paris starring Erich Von Stroheim premiered June 27, 1940. Russian films were a favorite here. The foreign productions with their English subtitles brought in an unexpected audience. Variety noted on May 7, 1947 that The Apollo had become a favorite for the deaf. The subtitles made movie-going enjoyable those who relied on them to follow the plot. 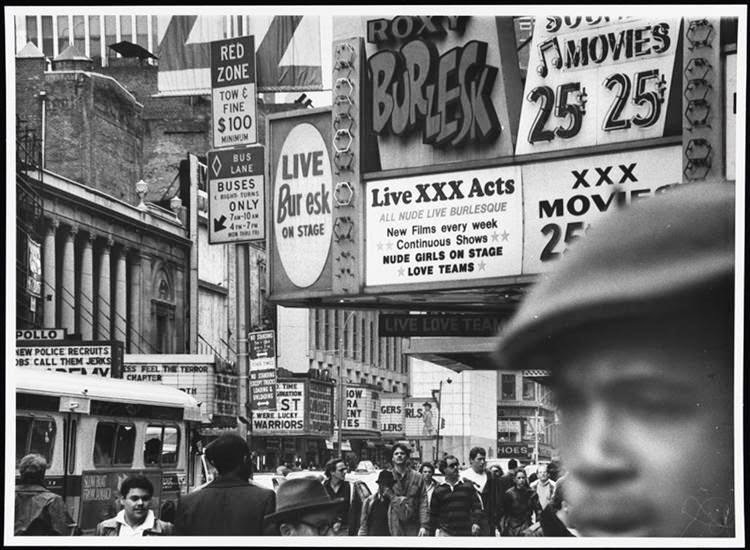 The 42nd Street area around Times Square became crime-ridden and sleazy in the second half of the 20th century. The Times Square Theatre, once filled with patrons in evening clothes, was repeatedly robbed at gun point throughout the 1950s. The Apollo was briefly used as a night club in the 1970s; but that effort, too, failed. The elegant classical-fronted theaters sat empty and neglected; and was finally condemned. In 1990 the City and State reclaimed the property and in 1992 was given “protection” by the New 42nd Street organization. The interiors of the Apollo were gutted to become part of the often renamed Ford Center for the Performing Arts; the Hilton; the Foxwoods Theatre; and finally in 2014 the Lyric Theatre. By the turn of the century Julius Fleischmann had amassed a sizable fortune as a real estate operator and builder. He and his wife, the former Julia Bauxbaum, had two sons, Gustav and Leon, who joined their father in the business, the Fleischmann Realty and Construction Company. In 1906, as Julius Fleischmann inched towards retirement, his sons embarked on a lofty project. The property at No. 18 West 86th Street, near Central Park, was acquired and the young men commissioned the architectural firm of Buchman & Fox to design a high-end residence for their parents and the family. Completed in 1907, the 25-foot wide mansion could easily have fit in with those on the opposite side of the park off Fifth Avenue. Faced in rusticated granite, the five-story Beaux Arts home was accessed by a centered doorway above four shallow steps. Directly above, a magnificent iron-railed balcony stretched the width of the façade, which bowed slightly at the second and third floors. A handsome copper-clad mansard featured three high dormers slightly hidden behind a carved stone balustrade. Soon after moving in, Julius Fleischmann basked in the spotlight of his long-anticipated project that would be, perhaps, his last before full retirement. 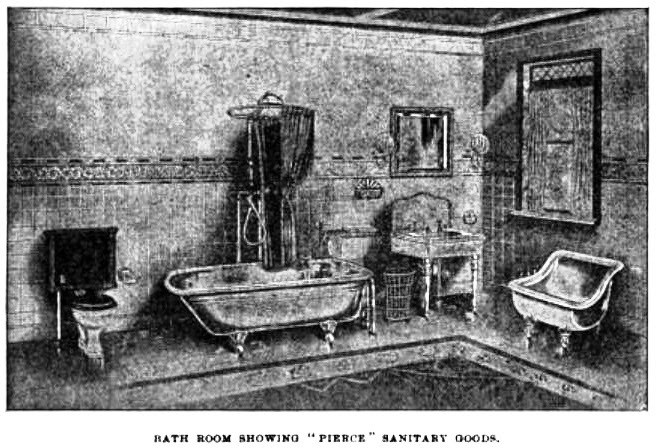 The Fleischmann Turkish Baths, at 42nd Street and Sixth Avenue, was opened on February 7, 1908. Fleischmann had been contemplating the half-million dollar project for several years. Julia was born in Frankfort, Germany and arrived in New York in 1870 when she was 19 years old. Now, while her husband increased his fortune, Julia was active in charities. The 60-year old woman seemed to have her depression under control and none of the household noticed anything alarming. After moving to West 86th Street, the aging woman took afternoon walks either on the scenic Riverside Drive or around the Central Park Reservoir. In October 1908 Julia returned home from the family summer estate. “She seemed then in excellent health,” recalled Gustav a few weeks later. Then, on Thursday November 5 she went for a walk in Central Park, followed by some shopping downtown. At 4:00 she was back home in time for tea and an hour later told Gustav’s wife that she was going to her bedroom to rest until dinner time. Hospitals were searched and friends were notified. But the wealthy Julia Fleischman had disappeared. After a description was given to police (“A short, gray-haired woman, age 60, height 5 feet 4 inches, weight 115 pounds, complexion sallow, dressed in a black tailor-made suit”) and newspapers ran articles about the mystery, tips and leads flowed in. One woman was certain she had seen Julia on a street car late Sunday night, three days later. The family was heartened by the woman’s description, which included a collar of four necklaces of black beads—a detail not included in the details the family had released. The witness said “She then wanted a transfer, which the conductor could not give her. As she got off the car at Fifth Avenue she made the following remark: ‘What will I do now? It is so far to walk, and I did not bring any money with me.’” The compassionate conductor gave her five cents to get on the correct street car. A friend said she saw Julia at Lenox Avenue and 113th Street and “expressed surprise at seeing her so far from home alone,” said The Times. Another man said he saw her at Broadway and 113th Street when she asked him how to get to Eighth Avenue and Central Park. None of the many leads panned out. Simultaneously grappling hooks were used to drag the Central Park Reservoir where the woman was fond of strolling, just a few blocks away from the Fleischmann mansion. No trace of Julia Fleischmann was found. It would more than a week before Julia’s body was recovered, found floating in the river by Captain William Burrows of the city boat Wonderder. Gustav identified the body of his mother. Julia’s funeral was held in the 86th Street mansion at 10:00 on the morning of November 24. True to his word, Julius Fleischmann quickly sold the house. It was purchased by retired merchant and real estate dealer Edward D. Farrell. Born in Ireland in 1847, he was married to Katherine G. McGowan and the pair had seven children. The extent of the family's wealth was evidenced a few months before the purchase when thieves broke into the Farrell summer cottage in Belle Haven, Connecticut. 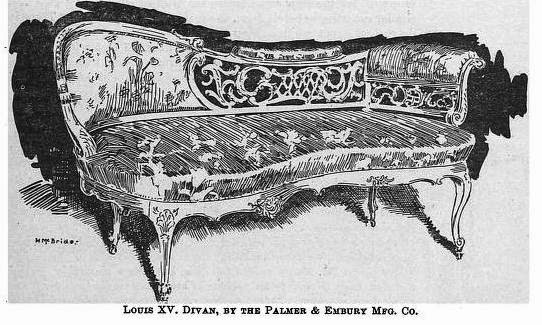 The loot included three large silver trays, eight silver vases, 24 salt cellars, 24 asparagus forks, 24 butter spreaders, 21 fish forks, four almond dishes, 24 coffee spoons, an ice cream cutter, a cake knife, two large serving spoons, six silver forks and a loving cup Edward Farrell had won playing golf. The total value of the heist was $5,000—about $131,000 in today’s dollars. Farrell was a member of the American Irish Historical Society and the Catholic Club. The American Catholic Who’s Who called him a “generous contributor to deserving charities.” Katherine Farrell, like Julia Fleischmann and most other wealthy socialites, was heavily involved in charitable causes. The house was frequently the scene of teas, luncheons and receptions for groups such as the Eclectic Club, which concerned “itself with grave social problems and broadly directed charities,” according to Club Women of New York in 1905. On Wednesday, September 1, 1915 the 68-year old Edward D. Farrell died in the house. Three days later at 9:30 a.m. the funeral was held in the mansion, followed by a solemn requiem mass at the Church of St. Paul the Apostle on Columbus Avenue at 59th Street. Katherine lived on in the house, surrounded by her servants and still-unmarried children. The house would be the scene of yet another funeral three years later. Son T. Wallace Farrell had joined the Army as the United States entered World War I. The young soldier would not see action, dying instead at Camp Humphreys, Virginia, on October 5, 1918. His funeral was held in the house on Thursday, October 10, followed, as had his father’s been, with a solemn requiem mass at St. Paul the Apostle. One by one the children married. Katherine Gertrude was married to James Stacey Sullivan in Greenwich, Connecticut on June 21, 1923; and her sister, Dorothy Gladys, had a most unusual ceremony 11 years later. Dorothy, like her mother, was involved in charitable works and held the position of a director of the Barat Settlement House on Chrystie Street. The social worker faced a major operation in May 1934 and her recovery was deemed “uncertain.” With the operation only a few days away, Dorothy’s hospital room was decorated and her wedding to broker John Lawrence Gormley was performed. Daughter Hannah had moved back with her mother in the 86th Street house after the death of her husband, John Lucas. Hannah and John had three children. On June 3, 1936 Katherine Farrell suffered the loss of yet another child when Hannah died in the house. Once again the mansion would be the scene of a funeral, this one on Saturday, June 6. The following year, on September 10, 1937, the aged Katherine G. McGowan Farrell died in the mansion she and her husband had purchased nearly three decades earlier. Within months the house had been converted to apartments and a “penthouse” erected on the roof. The first floor contained one, sweeping apartment; there were two each on the second through fifth floors; and “six furnished rooms” in the penthouse. Although much of Buchman & Fox’s interior detailing had been lost, remaining elements included “interior mahogany paneling, stained-glass floral and trellis-patterned windows, herringbone parquet oak floors, period moldings and a winding central staircase.” The Center, a graduate school of Bard College, purchased the house for $2.1 million. In the summer of 1992 architects Stanley Prowler and Mark Carthew initiated a year-long restoration. Partitions were removed to bring the rooms back to their original proportions. The restoration and updating cost the Center more than twice the price of the structure at $4.5 million. Today the Fleischmann mansion looks almost exactly as it did the day that Julius and Julia Fleischmann first walked in. The house which has seen so much personal tragedy is a fine reminder of the early days of West 86th Street, when it was populated by the very wealthy. And now a book! "Seeking New York"